The Honor Code, established and operated by the students, sets the fundamental principles of conduct for members of the College. It applies to all academic matters such as examinations, written material, and laboratory reports—both at Harvey Mudd College and at the other Claremont Colleges. The Honor Code also governs activities outside of the classroom, including the safety of individuals, and private and college property. Students are expected to act as responsible individuals, to conduct themselves with honesty and integrity both personally and academically, and to respect the rights of others. The College considers these standards to be essential to its academic mission and its community life. In this context, the College is an inclusive community of faculty, students, and staff. Those who make up the community have participated in developing the standards and the policies that they believe will support the primary purpose of the educational community and the personal development of the individual students. Behavior that violates the honor code is referred to the student Judiciary Board or the Disciplinary Board for action. These authorities may impose penalties of varying degrees of severity, including expulsion from the College. Students should be aware of federal regulations that require all colleges to implement programs to prevent illicit drug and alcohol use and alcohol abuse by students and employees. It is the policy of the College to abide by these regulations. Violations may incur legal and College sanctions. Under the Honor Code, students are expected to know and abide by all College policies, regulations and procedures, and to report any violations of these. Orientation, which begins prior to the opening of classes each Fall, includes transition-to-college-life programming, social events, placement examinations, and academic orientation. All new students are expected to attend. Since most courses meet three times a week and the normal academic program is five courses, most students spend three to five hours in class each day except Saturday and Sunday. In addition, most laboratory periods are scheduled in the afternoons. Most students do approximately three hours of academic work outside of class for every hour they spend in class (not including laboratories). Students should consult with their academic advisors to devise a realistic schedule that provides adequate time for study, extracurricular, and social activity. There are nine residence halls. All first-year students are required to live on campus. Single rooms, doubles, and suites for three or more are available. Lounges in each building afford additional space for meetings and social activities. Students may eat at Harvey Mudd’s Hoch-Shanahan Dining Commons or at any of the other dining halls of the undergraduate Claremont Colleges. In addition to standard cafeteria meals, each meal plan provides a weekly allocation of “Board Plus” dollars for food purchases at campus retail sites. The social life of a student at Harvey Mudd College may be as active as the student wants. The Claremont Colleges’ Calendar includes at least one concert every month, outside speakers almost daily, a dozen art exhibits a year, frequent theater presentations, two distinct athletic programs (CMC-HMC-Scripps and Pomona-Pitzer), cinema series, intramurals, and many other events. Student-led committees sponsor a myriad of activities for the student body, including trips to Los Angeles for sporting and theater events, movies, amusement parks and museums; beach trips; camping and hiking trips; campus parties; dances; and more. The Division of Student Affairs assists students in all aspects of their college lives. The office shares a suite with the Associate Dean for Academic Affairs to holistically anticipate and respond to students’ academic and personal concerns. The campus life program, led by the Dean of Students, operates cooperatively with residence hall presidents to ensure a safe and supportive campus environment. These and many other services, including housing assignments, disability accommodations, and a network of student staff in dorms, are designed to support students as they develop personally and academically. All members of the student affairs staff, the Associate Dean for Academic Affairs, and members of the faculty and staff are readily available to help individual students with academic, career, and personal questions. The Associate Dean for Health and Wellness provides crisis intervention and brief counseling for students needing support while enrolled. The Associate Dean for Health and Wellness works closely with The Claremont Colleges’ Monsour Counseling and Psychological Services that provide, without charge, the services of full-time psychologists. The service offers personal counseling, and all matters are confidential. Members of the staff also lead personal growth groups on topics such as psychological fitness, human sexuality, and relaxation and stress management. The Claremont Colleges maintain a health service for students while college is in session. A physician and a staff of registered nurses and nurse practitioners provide office care at the Student Health Service Monday through Friday, from 8:00 a.m. to 5:00 p.m. with extended hours on Wednesdays. Charges are made for medicines, laboratory tests, special supplies, and some elective treatment. Referrals for treatment by specialists in all fields can be arranged when needed. Outside consultation, hospitalization and surgery are arranged by the health service, but are not financed by the College and payment for them is a responsibility of the individual student. Health care service is available throughout the academic year with the exception of scheduled vacations. As part of its continuing wellness programs, the Health Service seeks to empower students to take responsibility for their own health and well-being. The Harvey Mudd College Writing Center offers an arena where students can work through the writing process and improve the clarity and expression of their ideas by participating in individual conferences with trained peer consultants. Student writers of all skill levels writing in any discipline can work with consultants, who offer feedback and encouragement during any stage of the writing process, from developing an idea to polishing a final draft. Peer consultants are also trained to help students with graduate school and fellowship essays, as well as presentations and public speaking projects. The Writing Center is open five evenings a week and Saturday afternoons throughout the academic year. In addition to individual conferences and occasional topical group workshops, the center offers a variety of print and electronic resources for writers. The Academic Excellence Program provides opportunities for students to work together to improve their understanding of concepts and problems in most technical Core courses. Workshops are guided by student facilitators who are outstanding upper-class majors recommended by their departments. Facilitators are trained to teach problem solving and collaborative learning strategies while helping students work to understand the material at the level of mastery required for success at Harvey Mudd. The Office of the Registrar maintains official academic schedules and records of students, present and past. The office also manages classroom scheduling, course enrollment, major declaration and changes, advisor assignments, degree audits, grades, Dean’s List and other honors and distinctions, veteran’s benefits, enrollment verifications, transcript requests, and degree verifications. The Office of Career Services provides resources to assist students in making informed career decisions. Throughout the academic year, workshops are conducted on resume writing, interviewing, networking, negotiating, and researching. On-campus recruiting occurs during Career Fairs that typically attract more than 60 companies to campus. Various events are held during the academic year and are advertised to students on the Web and via email. The Career Resource Library includes periodicals, how-to books, directories, and industry-specific books; a database of companies provides additional resources for students. Individual career counseling is also available. The office also hosts the Summer Institute, an intensive, four-week summer residential experience that offers new students an early introduction to Harvey Mudd. Students interested in pursuing a commission in the United States Air Force or United States Army concurrently with obtaining a degree may do so by enrolling in Reserve Officer Training Corps (ROTC). Harvey Mudd College students may enroll in Air Force ROTC (housed at the University of Southern California) or Army ROTC (housed at Claremont McKenna College).  Harvey Mudd College, Claremont McKenna College, and Scripps College are associated in a joint program of intercollegiate athletics, intramural and recreational activities, physical education, and club sports known as Claremont-Mudd-Scripps (CMS). CMS facilities include a football field, gymnasium (an aerobic fitness room, a weight room with both free weights and a Nautilus system), a soccer field, a lacrosse field, a nine-lane 400-meter track, a baseball field, a softball field, an aquatics center with a competition pool for swimming, diving and water polo, nine tennis courts, volleyball courts, and numerous intramural and recreational fields. The intercollegiate athletic program is one of the most successful athletic programs in the country. A member of the NCAA Division III and the Southern California Intercollegiate Athletic Conference (SCIAC), which has eight members, CMS sponsors 21 intercollegiate sports for men (the “Stags”) and women (the “Athenas”). Students who do not participate in intercollegiate competition may join intramural teams, such as inner-tube water polo, flag football, volleyball, soccer, basketball, softball, golf, swimming, paintball, tennis, ultimate Frisbee, and floor hockey. Club sports of ballroom dancing, fencing, men’s lacrosse, men’s and women’s rugby, women’s field hockey, ultimate Frisbee, and rowing are additional pastimes. An extensive list of offerings is available for physical education credit, which may be pursued even beyond the three-semester requirement. Harvey Mudd’s Linde Activities Center (LAC) is the hub of students’ recreational and fitness activities. The LAC has aerobics and weight rooms, meeting rooms, a computing lab, and basketball, badminton, and volleyball courts. It is open to all Harvey Mudd students and their guests. The College encourages students to participate in the governing of student life through the Associated Students of Harvey Mudd College (ASHMC). Student body, class, and dorm officers manage committees that plan and coordinate many extracurricular and social activities. ASHMC’s Committee for Activities Planning plans and promotes off-campus activities for students, ranging from concerts to rock-climbing. All students are encouraged to participate and contribute ideas for upcoming events. Many other activities of interest to students may be found on the Student Activities web page, hmc.edu/student-life/student-activities/.